Working on your first book as a new proofreader or copy editor is pretty special. Going from armchair reader to being part of a book’s creation is something to be proud of. I reached out to High-Level Proofreading Pro grad, Andrea, to discuss what her first time copyediting a book was like. Andrea’s first book project landed her an impressive contract, as well as being credited with “Editor” on the book’s Amazon page. In this interview, she gets really honest, shares how she struggled to charge what she’s worth, and lets us in on what her first time reading for money was like. Can you give us a little background info on yourself? Have you always loved reading and wanted to work with words? A year ago I left a thirteen-year career as an executive assistant for senior executives at large financial firms. I craved a career that aligned more closely with my gifts. I have always loved reading and books. I spent a lot of time at the library as a child; my love of reading comes from my mother. She’s always been a voracious reader. I’m one of those people that takes a gasp every. single. time. I walk into a library or Barnes & Noble. My addiction is buying books not shoes; I have book stacks all over my home. Oddly enough, I never thought of a career in the literary world. I have a bachelor’s degree in human development and family studies, and a minor in sociology. People are my thing. Now that I am doing [proofreading and copyediting], I have no idea why it was never in the running! I finally feel like I’ve found my little corner of the world where I can love the work that I do. What made you decide to take the leap and get into proofreading and copyediting? I’ve been on the hunt for “what I want to be when I grow up” for my entire adult life. I’ve tried many things, and oddly enough, while pursuing something else, I stumbled onto a little quiz on Pinterest that would change everything. I took the Art of Proofreading quiz on Homophones and loved it. 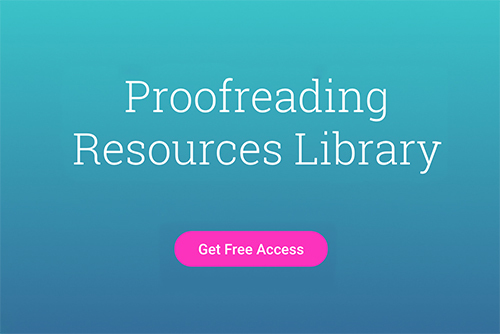 I signed up for the Art of Proofreading free course, and then after some research and a few emails with Phon, I enrolled in High-Level Proofreading Pro. When I initially signed up, I wanted a fast way to earn extra money — a side hustle. I didn’t initially think I could make this my full-time career, that didn’t seem realistic. As I progressed through the course, I realized I was getting a solid education and maybe I really could run with this as a career. Do you think learning copyediting was difficult? I did not think it was difficult; however, it is an educational process and so it will take work. It was challenging — in a good way. There is a reason you will be a professional. I am without a doubt, over-the-moon happy that I learned it! Andrea is a proofreader and copy editor who works with entrepreneurs, authors, and bloggers. What was it like working on your very first book? It really felt like a dream come true copyediting my first book! I felt excited and also nervous, which I’ve learned is a great combo of emotions — you know you’re on the right path for something new and exciting. because I work full time. sharp, and I’d notice this when I had to reread sentences, so I’d call it a night and do it again the following day. My reference books were everything to me — style books, dictionaries, punctuation books, etc. I used two online and two actual books. I looked up everything! I’d take notes on things if I realized I repeatedly looked it up, and created guides for the project. I’m confident that with experience I won’t always do this. For this book I wanted confirmation on everything. 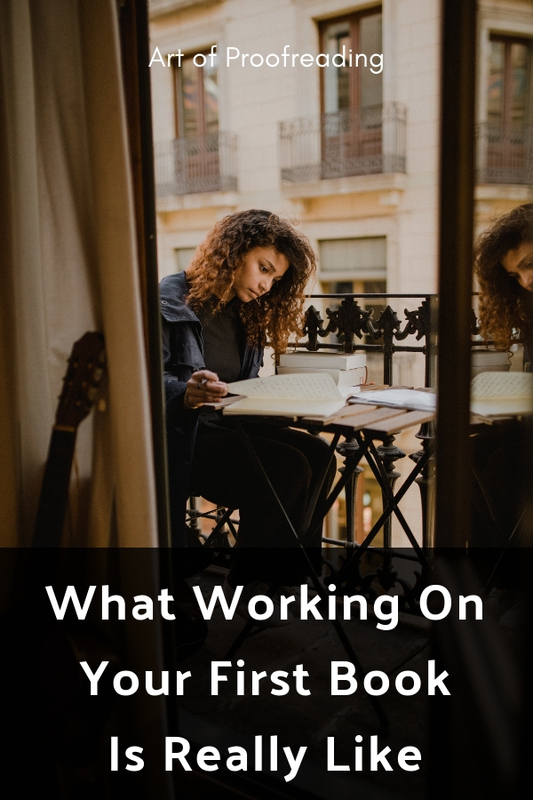 As soon as I started the process I realized quickly that it wasn’t really the same as curling up with a book to read for pleasure because I needed to read with an editing eye. I often sat at a desk or on the floor versus a comfy reading spot. I almost always set the mood with oils in a diffuser and a cup of tea. I gained confidence as I worked through the book and started to really feel like a trained professional. I felt so perfectly prepared because of High-Level Proofreading Pro and Phon’s guidance. The satisfaction of editing that last page, and by the deadline, was such a rewarding accomplishment for me. I can’t wait to do it again! For new proofreaders, there’s uncertainty about what to charge for a book project, even a fear of charging too much. Can you tell us about your experience setting rates for your proofreading and copyediting services? I performed a copyedit on my first book. I researched the going rate extensively and ended up with a combination of rates listed on Editorial Freelancers Association (Phon included this organization in the course on her section on setting your rates) and a few other editorial organizations that I found. I decided to list a range on my website, and I quoted the author at the low end since it was my first book. I felt like I couldn’t charge too much, and even the amount I charged I felt completely uncomfortable asking for. I had to keep reminding myself of my extensive training and that I had a skill that was needed and that I was a professional that deserved compensation. Phon’s note: Want to know how much a freelance proofreader or copy editor can make? According to the Editorial Freelancers Association guidelines, proofreaders can make between $30-$35/hr and copy editors $30-$50/hr. Keep in mind, it’s common for experienced copy editors to charge $60/hr and up. Charge what you’re worth! It’s strange to feel uncomfortable asking for your worth but you have to just dig deep and do it! Ultimately, your new client will negotiate if they feel your rates are too high. I didn’t take this into consideration and just wanted to make sure I wasn’t offensive or didn’t catch my client off guard. [My project] helped me establish my rates, it helped me refine my processes, and most importantly, it helped me gain confidence as a new proofreader and copy editor to know my worth — because now I’ve done it! Now I’m not afraid to ask for what I know I’m worth and I can feel confident about the rates I have listed. Also, and this may really be the best point, it helped me land the job, and now I have exposure. What did you think of learning proofreading and copyediting through an online course as opposed to winging it with no training? Winging it with no training was not an option. Learning the skills from a trained professional gave me the confidence and education to feel like a professional myself. There is a very big difference between looking something over to catch errors, which I have done all of my life, and doing a professional proofread or copyedit. I didn’t really realize this until I started the course and gained extensive industry knowledge and the processes of a trained proofreader and copy editor. What advice would you give to someone who isn’t sure if they should learn copyediting, and just wants to stick to proofreading? During this course I learned the steps of the editing process. Proofreading is the final step before publishing and should be completed after copyediting, but I don’t think people realize this and confuse the two terms. Copyediting also involves making sure the copy is polished and consistent. This adds huge value. So without a doubt you need to have these skills to offer and provide. Inherently as a proofreader and/or copy editor you will want to fix all errors and completely clean up the text in front of you. Copyediting is exactly that and so it is important to be professionally trained to do this. Thank you, Andrea, for an insightful and informative interview! 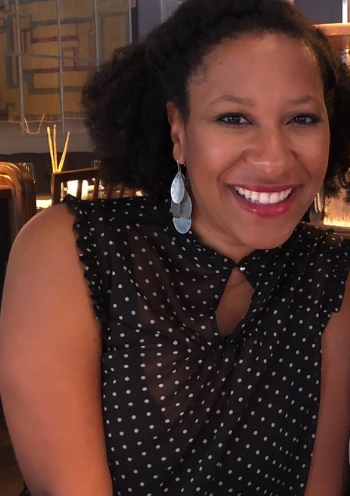 Andrea Jasmin is a professional proofreader and copy editor in Charlotte, NC, who works with entrepreneurs, self-publishing authors, and bloggers. When she’s not nose deep in words, with a cup of tea in hand, she’s pretending to be a chef for her family or the kind of yogi that practices daily. Editing needs? Check out her site at www.acjasminproofreading.com.